When your flooring is looking a little tired and worn call in the experts to restore the shine. GCD Restoraion offers floor cleaning in Daly City that's a worthwhile alternative to trying to clean it yourself. Property owners, both commercial and residential, often choose hard flooring because it requires less maintenance and cleaning. That doesn't mean however, that it will never need to be done. Regular foot traffic and dirt, dust and grime, will eventually lead to a dulling of the flooring whether it's tile, slate, stone, vinyl or laminate. You can hire basic equipment and over the counter cleaning products but you'll likely be very saddened with the results. Professional floor cleaning in Daly City is a much more cost-effective option and it'll save your free time for doing more enjoyable things. The first thing you'll need to do is get in touch with us. Over the phone or online you'll be able to tell one of our friendly advisers about the work you need done, and they'll tell you how our expert floor cleaners in Daly City will make it happen. We base most of our floor maintenance services on the size of the area that you need us to clean, so we'll be able to give you a free, no-obligation quote over the phone. When we arrive onsite we'll confirm that for you, and then immediately deploy our equipment. We'll be using specialist rotary machines with a carefully selected cleansing product. Or in the case of wood floor cleaning, just the bare brush heads. 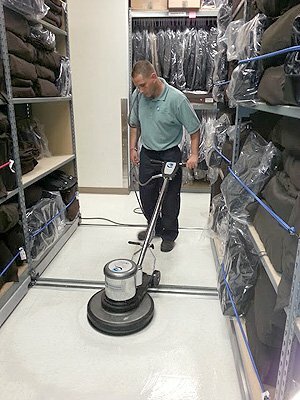 Our experts always know the right technique to choose, to bring your flooring back to its absolute best. 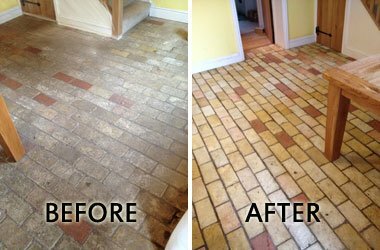 Get a Free Quote on Your Floor Cleaning Today! Call us today, and we’ll be glad to offer you a free, no-obligation quote on floor cleaning in Daly City. Lines are open 24/7, with a team of friendly staff on hand to answer any questions that you might have… just give us a call today, on (650) 835 444. Prefer to reach us online? No problem. Send us a message now, using our online contact form – or you can talk to an advisor right this minute, thanks to our handy chat support system. Did you know that we also provide a range of special discounts for customers who book more than one service at a time? Complement your floor service with carpet cleaning, and enjoy the savings that follow.